One of John C. Hitt’s greatest accomplishments as president of UCF began with a shot in the dark. 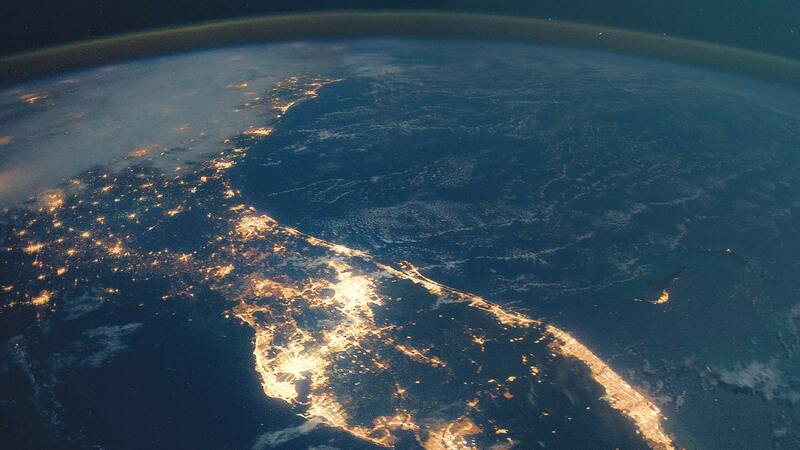 Gathered around a table with a host of education, civic and business leaders in 1996, Hitt presented a satellite photograph of the state of Florida at night. On the mostly black image were scattered yellow lights, arranged along a glittering strand that connected the east coast to the west. The lights were homes and businesses — and they illuminated the otherwise vacant peninsula with what Hitt recognized as potential. In the months prior to the meeting, Hitt and University of South Florida President Betty Castor helped persuade Orlando-based technology manufacturer Cirent Semiconductor to remain in Central Florida rather than accept a lucrative deal to relocate to Spain. Together, UCF and USF pledged faculty and funding to help ignite the company’s research and development, keeping thousands of jobs and economic benefits in Florida. This unprecedented public-private partnership, along with Hitt’s vision and passion for collaboration, convinced the group to create the Florida High Tech Corridor. The Corridor’s economic development council teams UCF, USF and the University of Florida with private companies to stimulate innovative research and promote the growth of technology industries in Central Florida. Since 1996, the council has invested more than $65 million to generate a projected economic benefit of more than $1 billion. His vision in helping create the Florida High Tech Corridor was just the beginning of Hitt’s positive impact on the region and its people. Throughout his 26-year tenure as UCF president, Hitt leveraged his insight and talent for partnerships to launch game-changing initiatives, including the UCF Health Sciences Campus and UCF Downtown. And at the heart of all of these achievements is Hitt’s fundamental focus: people. From the individuals he’s partnered with to promote change across the region to his mission of providing a quality education to as many qualified students as possible, Hitt has built a legacy of uplifting lives. Since his inauguration as UCF’s fourth president in 1992, Hitt has made partnerships the cornerstone of his presidency. He prioritized building mutually beneficial relationships that solve problems and address community needs. “When Dr. Hitt introduced the five major goals for UCF, they became goals, in many ways, for our family of communities [in Central Florida],” says Jacob Stuart, former president of the Central Florida Partnership. “That commitment to partnership is not just a commitment for the University of Central Florida, it has become a commitment for our entire region.” And it has been that commitment, plus an innate reservoir of personal attributes, that has made him a valuable ally to Central Florida leaders across industry and government. It’s that combination of commitment and flexibility that has helped Hitt endear UCF to the heart of the Central Florida community. One of Hitt’s first partnership successes, the Florida High Tech Corridor, is a prime example of translating vision into impact through collaboration. During his time as a faculty member and administrator at Texas Christian University in the 1970s and ’80s, he witnessed the cities of Dallas and Fort Worth merging economic development interests into a single, united metropolitan center. It planted a seed that the same could take place in Central Florida. Hitt was strategic in convincing Cirent Semiconductor to stay in Orlando. Though the company would eventually leave town, this initial success inspired more collaboration to create greater impact. Born from university partnerships, the Florida High Tech Corridor has boosted faculty and student researchers at UCF, USF and UF. Through 22 years and 1,400 applied research projects with 360 businesses, more than 3,000 students have benefited directly from private companies with practical experience and employment opportunities, not to mention the stimulation and sustainment of Central Florida’s high-tech industry, which continues to grow. “Central Florida would not be a leading high-tech, high-wage center of excellence in our country, and I would submit, in the world, based on the international honors that have been achieved, but for President Hitt and his vision and his focus on the mission,” Berridge says. Hitt counts the College of Medicine as one of his proudest achievements. Orlando was once the largest metropolitan region in Florida without a medical school, and like many communities across the nation, it was facing a shortage of doctors. In 2002, Hitt saw an opportunity to remedy that deficiency, but because the funding and approval would come from state lawmakers, the effort would only be successful through partnerships. 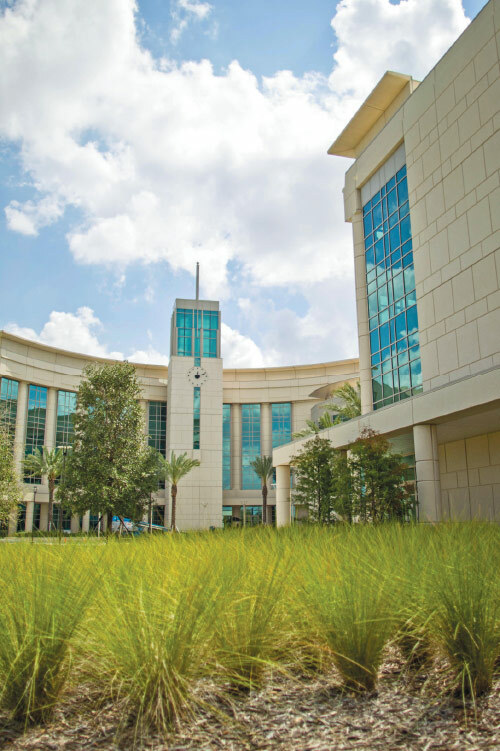 Through months of political maneuvering, presentations to Florida leaders and collaborative dealmaking with public and private partners, both universities gained approval to build new medical schools. Once again, Hitt saw the potential to partner with what could have been considered a rival in FIU. By cooperating and pooling efforts, a new level of success was achieved. That momentum sparked by the College of Medicine continues in Lake Nona. UCF is building a new hospital to train medical students and creating new opportunities to lead medical research at the Burnett School of Biomedical Sciences. The Dr. Phillips Academic Commons will anchor the UCF Downtown campus with active learning classrooms, collaborative spaces and a library. Hitt identified another opportunity to infuse the transformative energy of UCF into Orlando with a new downtown campus. Inspired by the success Arizona State University achieved starting its own urban campus in downtown Phoenix, Hitt proposed the idea to Central Florida partners, including the city of Orlando, Valencia College and Orange County Public Schools. The benefits were obvious. 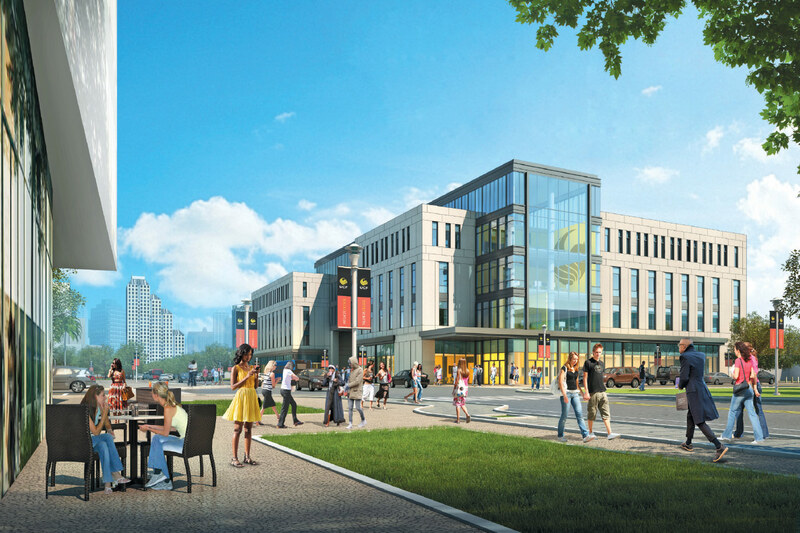 Downtown Knights will live and learn in innovative, mixed-use student housing that offers university services and classrooms, as well as restaurants and retail. An initial proposal to the Florida Board of Governors proved too ambitious and costly, so Hitt and his partners regrouped, scaled down and eventually won approval for an academic building to anchor what will become a larger joint campus for UCF and Valencia College. 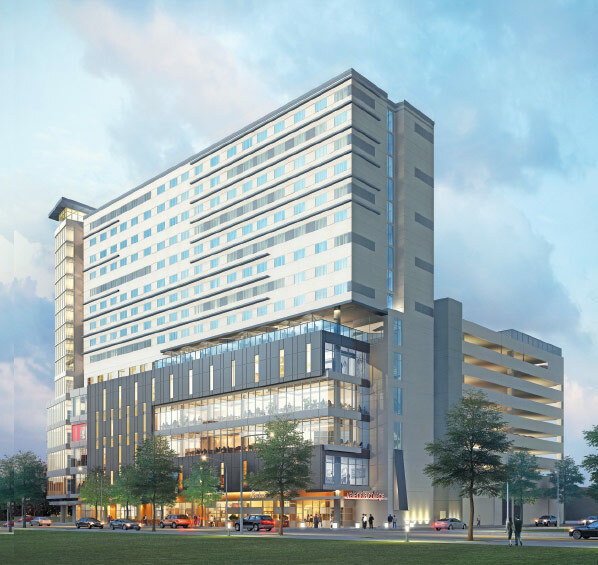 The new urban campus will house programs that relate to downtown industries, including social services, education, digital media and public administration. This will increase opportunities for collaboration between private companies, public agencies, and UCF faculty and students, who will benefit from service- learning, internships and increased employment opportunities. “Bringing 7,700 students in the disciplines that can benefit from being located in downtown is very strategic. It will be beneficial both to the students and the university but also greatly beneficial to downtown to have the energy and excitement and talent,” says Orlando Mayor Buddy Dyer. Hitt’s success at creating partnerships has brought transformational growth, prosperity and esteem to UCF. As the influential leader steps down from the presidency, it is easy to credit these accomplishments as his legacy. But the driver for all of these projects has been the students of UCF. 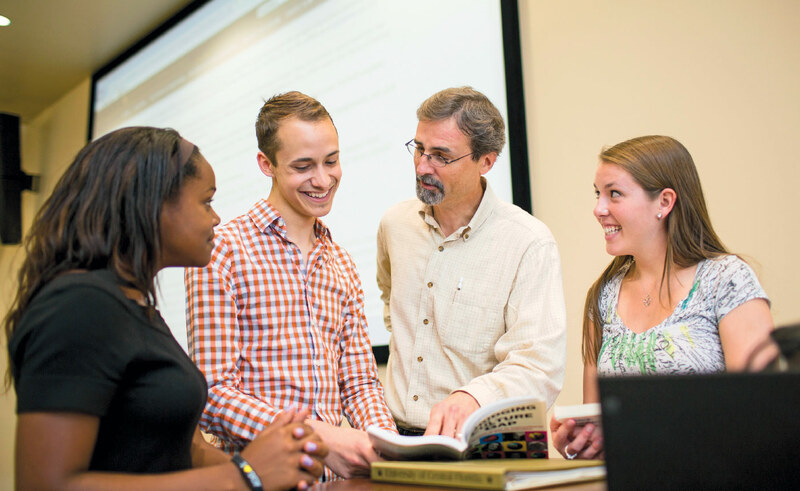 Providing the opportunity for people to pursue a degree in higher education is the core of Hitt’s mission, and it has influenced everything he’s done. “Hitt’s goal of making sure that everyone has access and to increase participation by those who wouldn’t normally have the economic means [to pursue a degree] has done so much to create an environment of equality in our community,” Orange County Mayor Teresa Jacobs says. During his 26 years in office, Hitt has more than tripled enrollment and awarded more than 270,000 degrees — 83 percent of the total since the university’s founding. And he has doubled the number of minority students, who currently make up 46 percent of the student population. Building civic and corporate partnerships has been key to Hitt’s mission of increasing student access to education.